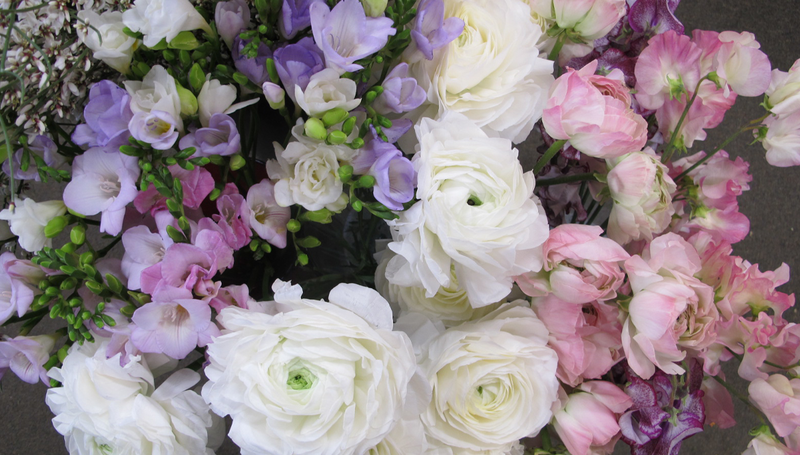 At Trillium's Courtyard Florist we are here to take care of your everyday floral needs. If you can't find the answer to your questions please do not hesitate to call us at 716-839-2033. This section contains a wealth of information, related to our website and its store. If you cannot find an answer to your question, make sure to contact us . How can I prolong the life of my floral arrangement? Check your flowers daily Keep the vase, container or liner filled with fresh water. Even if the container has floral foam, you should keep the water level high to promote long lasting flowers. The container's water has a fresh flower food added to it. If you completely change the water, you should also thoroughly clean the container. Add fresh water mixed with a commercial fresh flower food. These flower foods may be supplied by the florist who delivered your order and they contain the correct ingredients to properly nourish the flowers, keep bacteria at bay (which can block the stems and prevent them from absorbing water), encourage buds to open, and lengthen the life of the bouquet. It's one of the best—and easiest—ways to extend the life of your flowers, but be sure to follow the directions on the package correctly. Improperly mixed flower food can actually do more harm than good. Re-cut their stems Every few days, remove the flowers from the design and re-cut the stems. Remove 3/4" to one inch from the bottom of the stem and be sure to cut the stem at an angle to allow the flower the best chance to take up water. Use a sharp knife or sharp floral cutter or scissor. Avoid smashing or piercing the stems, as this can destroy the water vessels in the stem and prevent water absorption. Remove any spent or damaged blooms or foliage that falls below the waterline in the vase. Change their water, and add additional fresh flower food Be sure to clean the vase before refilling it with room-temperature water mixed with the proper amount of fresh flower food. Be sure no debris is floating in the water (such as leaves and stem parts) as this could promote the growth of bacteria which can shorten a flower's life. Where is the best place to display my flowers? display flowers in a cool spot Most flowers prefer temperatures between 65 to 72 degrees Fahrenheit (18 to 22 degrees Celsius) and are best displayed away from direct sunlight, heating or cooling vents, directly under ceiling fans, or on top of televisions or radiators, which give off heat and can cause flowers to dehydrate. Avoid placing fresh flowers near ripening fruit, which releases tiny amounts of ethylene gas that can age them prematurely. We can't always guarantee it, but we'll do our best! Just add a note in the Special Instructions section. For example, say "deliver before 3:00 PM, she leaves work then." That way the driver will know to make it a priority. Need to send flowers for a last minute gift? Never fear – we’re here to save the day! As long as you place your flower order before 3:00 PM in your recipient’s time zone (Monday-Friday, 12:00 pm on Saturday), we can get your flowers there the same day. Order now. Nothing beats flowers and balloons to brighten a hospital room! We will deliver a beautiful bouquet or green plant to the front desk at the hospital. A hospital employee or volunteer will take it from there. Check out our sunny, cheerful selections now. We are unable to send flowers to patients in ICU until they are in a regular room. Can you schedule a delivery at a specific time for a funeral? Absolutely! Sympathy arrangements take priority in the florist business. If you say, for example, “memorial service at 11:00 AM,” we’ll make a special effort to deliver the arrangement the day before or early in the morning. What do you do if there's no one home when you deliver? Usually we instruct our drivers to leave your gift with a neighbor if no one’s at home. The recipient will be notified with a message on the door or a voice mail from the florist. Will you leave an arrangement on the porch of front step? We will, but usually we’d rather not. Hot sun, wind, freezing temps, dogs and cats can wreak havoc on your gift very quickly. Of course, we’ll honor your request if you put a note in the Special Instructions section saying “please leave it at the door if no one is at home.” Or if the shop has contacted the recipient and knows they will be home soon, they might make an exception. Can I place an order to someone outside the United States? No problem! You can place an order on our website to a person in Canada. To send a gift to someone outside the U.S. and Canada, you’ll need to call the store at 716-839-2033 to speak to someone in customer service. You’ll need to have the name, address and phone number of the person receiving the flowers.